Stunning California Spit Home! Very open & bright layout with tons of natural lighting throughout. 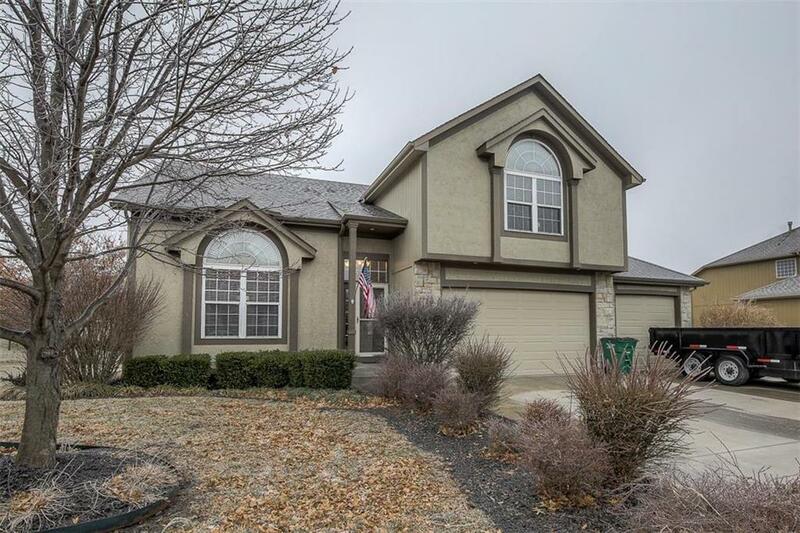 Features tiled entryway, vaulted ceilings, fireplace, gorgeous hardwood flooring, custom cabinets, 4 large bedrooms, massive family that walkout to upgraded patio/fire pit and so much more! You will just love the large master bedroom, master bath w/double vanity, walk-in closet, shower & whirlpool tub. Builder personal home so it does have many features you will not find in most. Extra large sub-basement for storage. Directions: South on 49/71 Hwy to 2nd Peculiar exit, Take C Hwy through Peculiar to Centennial Street, East on Centennial to home on the right.